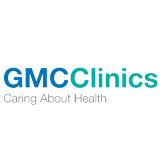 Family Medicine Specialist: The Family Medicine Specialist also known as the family doctor, who knows the entire medical history of a particular family. Family Medicine Specialists diagnose and treat the wide range of chronic illness and provide preventive measures to the patients. Family Doctors conduct routine medical checkup including high blood pressure, ear infection, sore throat, flu shot, pre-surgery checkup, pre-travel checkup, serious medical problems and personalized counseling to the patients in order to maintain a healthy life style. The family specialists have acquired extensive training and expertise to deal with most of the ailments for patients of all age groups. Doctoruna provides the appropriate and authentic information you require to contact family medicine specialists in Dubai. Weigh the credibility, read about their experience professional expertise and choose the best of all family physicians for your contact. Family doctors in Dubai are acknowledged and recognized for their professional experience that they have been practicing for health care of families.